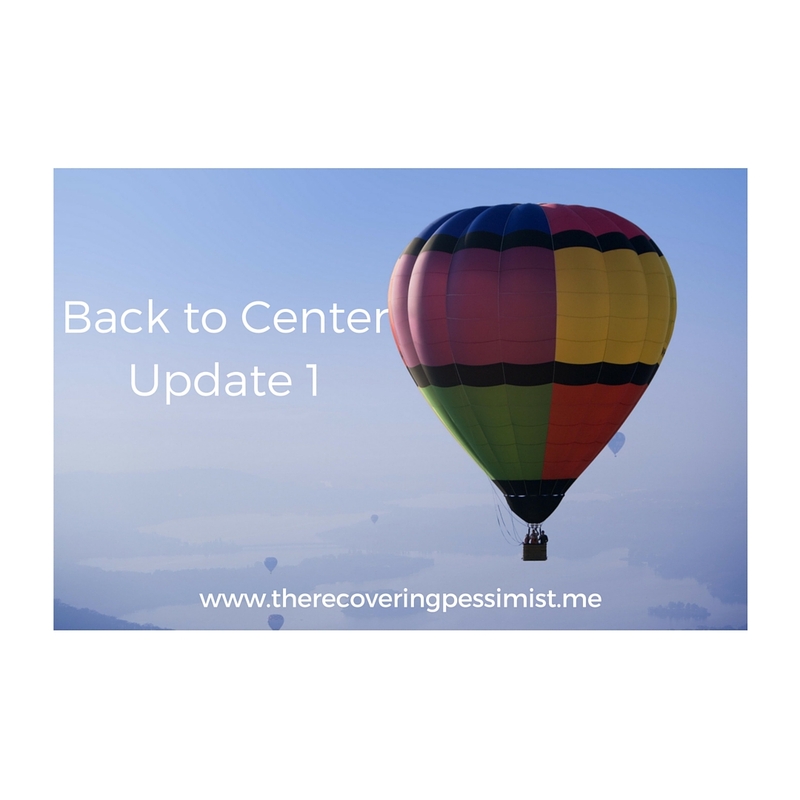 It’s been a while since I’ve posted Back to Center and I’m LONG overdue for an update. Currently, my weight ranges from 159-162. I’m pretty excited. I’m maintaining existing habits, establishing new habits, and had a few light bulb moments. Plain water can become a bit boring. I’ve added lemon juice to ice water for a while, but now I want to add fruit, cucumber, and fresh herbs. Pinterest has a ton of infused water recipes. I had no concept of portion control. I would put huge portions on my plate AND eat all of it! Despite healthy eating habits, overeating was preventing me from shedding the pounds. I paid more attention not only what I was eating, but how much I was eating. I started listening to my stomach tell my brain it was full. Once I felt full, I put the cutlery down and pushed the plate away. I brought a full length mirror so I could really track my progress. One random day, I happened to stand in the mirror and noticed that I could clearly see my waist…without having to contort my body. Seeing my curves inspired me to overhaul my wardrobe. This is the first summer in a LONG time that I won’t be wearing jeans. I’ve browsed websites for dresses, skirts, and sandals for the warm weather. Skin will be shown!! I’ve managed to bring fewer and fewer processed foods into my home. Since the weather is warmer, I eat lighter meals. Heat and heavy food is never a winner. For inspiration, I frequent Pinterest, TheKitchn, and YumSugar. I promised myself that I would freeze a lot of fruits and veggies this year so I won’t crave them in the colder months. At this point, it’s more about maintaining my progress. I’m proud of what I’ve accomplished so far and I want it to stay that way. As far as the next update is concerned, I won’t take so long to post it. Promise.